Are You Determined To Succeed? Success in business or in your personal life should be at the top of your list….always! That’s right, always. I’m not saying you should be obsessed with it. Nothing should be an obsession because then it’s unhealthy. But if you are not determined to succeed in all that you do, you will not accomplish much in life. 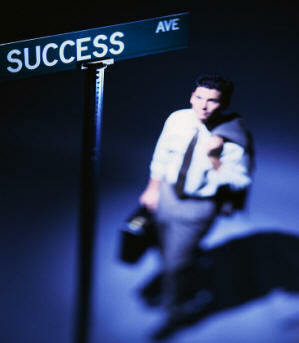 So the question becomes, how can I be, and remain, determined to succeed? I look back at my life. There were times I was doing well and didn’t have a care in the world. At other times I really had it rough. We’ve all been there. Some of my biggest successes were when I was really determined to succeed. Really focused for success. I remember when I attended the Seattle Police Academy. I was 28 years old. Man I was focused and determined to succeed at the highest level possible. I graduated first in my class. I was in a zone functioning at a high level in every area…weapons, physical training, academics, high speed pursuit training, etc. It was intense for those four months or so that I was there. But I made it happen. What will 2014 bring to your life. Will it just be another year, or will great things happen for you. As you look back at 2013, how did it turn out for you? Most of the time my years don’t quite turn out the way I had anticipated. I, like so many others, don’t seem to focus enough on the things that really matter…focus on being successful. Last year I reached that milestone of 60 years of life. That tends to be an event that will get you to focus a little. And the year brought many decisions and changes that made an impact on my future in some major ways. So for 2014, I need to be as focused as I’ve ever been. 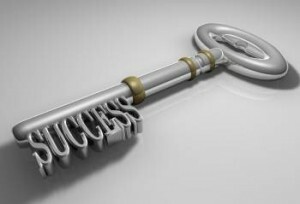 Looking at the state of our country with politics and the economy, we all need to be focused on success as never before. Yesterday at church our pastor brought us a powerful teaching for the new year. I will share some thoughts with you that I believe can have an impact on your life this coming year.